Spring is here and excitement is in the air as we continue to have a wonderful year of learning at Yarmouth Elementary School. As always, we greatly appreciate the combined efforts of all as we support our students in successfully meeting the high standards set before them! As we enter the month of April, our third and fourth grade students, teachers and staff just wrapped up the annual MEA state assessments to close out the month of March. Thank you to everyone for working collaboratively to make this experience run so smoothly for our students. I appreciate your efforts to make sure that students were on time and well rested. We do not receive results back from the state until the fall of next school year. At that time you will be provided copies of the results for your review. It seems cliché to say that this school year has absolutely flown by. 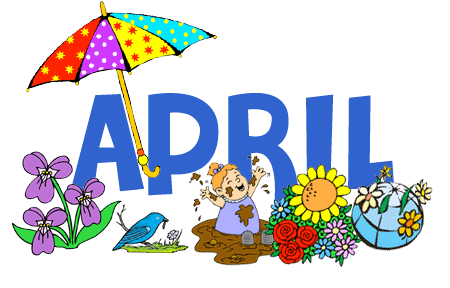 However, it is now April and we only have two and a half months left of the 2017/2018 school year. Even though only a short time is left, we have multiple important learning experiences and opportunities that will continue for our students. Monday: Inside Out Day – wear your clothes inside out! Tuesday: Yarmouth Pride Day – wear your Clipper colors or gear! Wednesday: Hat Day – wear your favorite or craziest hat! Thursday: Rainbow Day – wear as many bright colors as you can! Friday: Beach Day – wear your best beach attire (no bathing suits please)! Check out this video that Mrs. Parkin's fourth graders put together to kick off the week. They definitely have spirit! I am pleased to share with you that all of our students will have the opportunity to participate in learning experiences with the Cromwell Center this spring. The mission of the Cromwell Center for Disabilities Awareness is to promote safe, respectful and inclusive schools and communities. They offer disabilities awareness and sensitivity programs for southern and central Maine elementary school students. These programs build sensitivity and understanding, reduce bullying, and help create more inclusive schools and communities.The Cromwell Center will be visiting YES and working with our students and staff on April 12 and May 31. The last day of school before vacation is Thursday, April 12. Spring vacation begins on Friday, April 13 and students will return to school on Monday, April 23. Each year, Earth Day—April 22—marks the anniversary of the birth of the modern environmental movement. Earth Day is now a global event each year, and more than 1 billion people in 192 countries now take part in what is the largest civic-focused day of action in the world. Earth Day Network, the organization that leads Earth Day worldwide, announced that Earth Day 2018 will focus on mobilizing the world to End Plastic Pollution, including creating support for a global effort to eliminate single-use plastics along with global regulation for the disposal of plastics. Recently, some second grade students approached me and asked how we might go about recognizing and celebrating Earth Day here at YES. I am happy to share that during a lunch meeting with me they developed a plan for action! Throughout the week of April 23-27 students from each grade level will be provided opportunities at recess to help pick up our school grounds at YES during recess to make sure we are being enviormentally responsible. Our youngest learners are leading the way with this initiative! Also during the week of April 23- 27, Ms. Pachuta and Ms. Spellman will be co-facilitating our annual Yarmouth Jump Rope for Heart, sponsored by the American Heart Association. This will take place during students P.E. and guidance classes. Through Jump Rope For Heart kids learn jump rope skills, how their heart works and raise money (optional) to help kids with special hearts. It is an opportunity to have fun, learn how to stay healthy and make a difference in the lives of others! As spring rolls around there is more activity by the main entrance and the traffic circle. Please remember to have your children exit out the passengers side doors to the sidewalk. Keeping drivers side doors closed is safer for everyone and helps to keep the traffic flow running more smoothly. We appreciate your help with this. I continue to be honored in working with the students, families and staff at Yarmouth Elementary School. Thank you all for your continued support of your children and our school. As always, please reach out to me with any questions or concerns. I wish everyone a fun and safe spring vacation week!